Students who satisfy eligibility criteria can register for admission to the concerned PG programme by filling the application form and submitting the required fee through online payment modes. Eligibility: Candidate must possess L.L.B. degree with not less than 50% marks (or CGPA of 2) in the aggregate. Eligibility: Candidate must possess Bachelors Degree in any subject with a minimum of 45% marks. Eligibility: Candidate should be a B.Sc. Degree in Physics with Mathematics as a subsidiary with not less than 50% marks in Part III. Candidates can log on to the official university website www.cat.mgu.ac.in. For General Candidates – INR 500 per programme/cluster of programmes. For SC/ST candidates from Kerala – INR 250 per programme/ cluster of programmes. 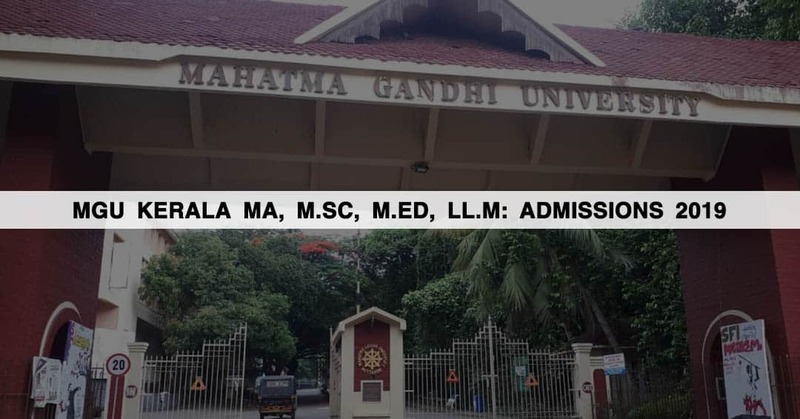 Candidates will be shortlisted for admission to M.Ed., LL.M and selected disciplines of M.Sc and MA on the basis of marks scored in the CAT-MGU entrance examination, conducted by the university.